Mad Science of North East Central Florida is proud to offer you a convenient e-commerce environment that allows you to browse and register for our science enrichment programs at your convenience, anytime of the day. Please note that, unless stated, all Programs for ages 5 and up are Drop-off Programs for Students Only! Parents are not permitted to stay during a Drop-Off program for safety reasons. 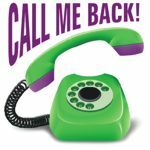 Should you have any questions, or prefer to do things the old-fashioned way, we are more than happy to continue to serve you over the phone at 386-898-4570 or by email at MadScienceRocks@gmail.com.